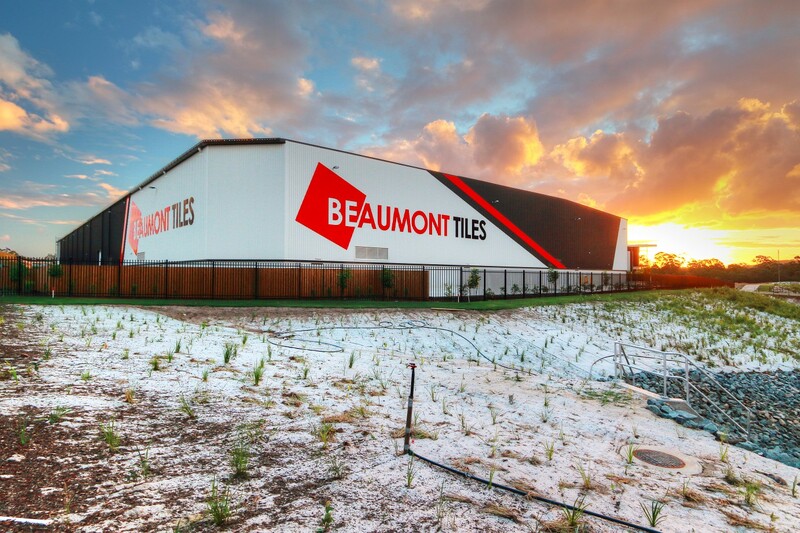 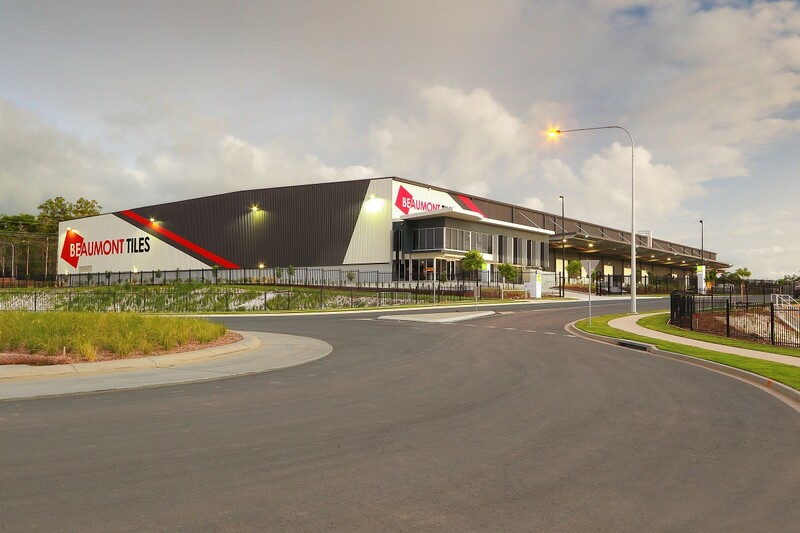 The new Beaumont Tiles facility is their Queensland Head Office and Distribution Centre conveniently located off the Gateway Motorway at Rochedale. 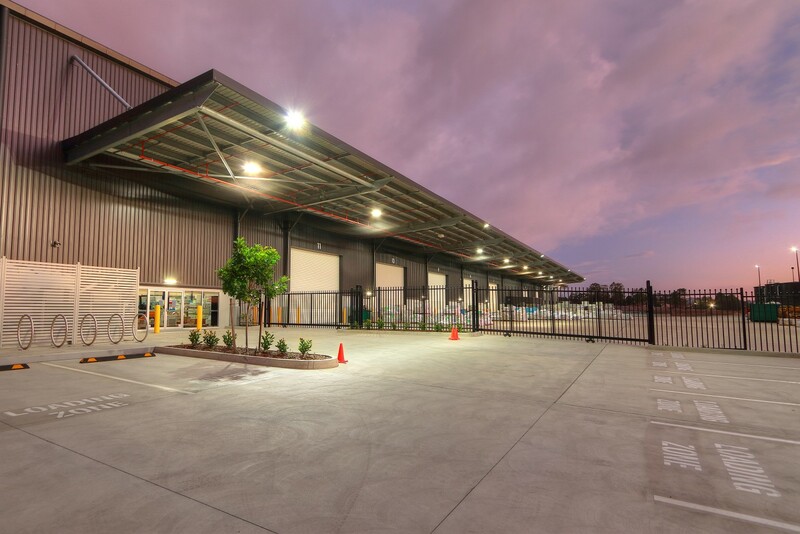 The warehouse and two-level administration office is a fully design and construct, 13,160m2 facility at Rochedale consisting of 12,300m2 warehousing and 849m2 of office space and amenities. 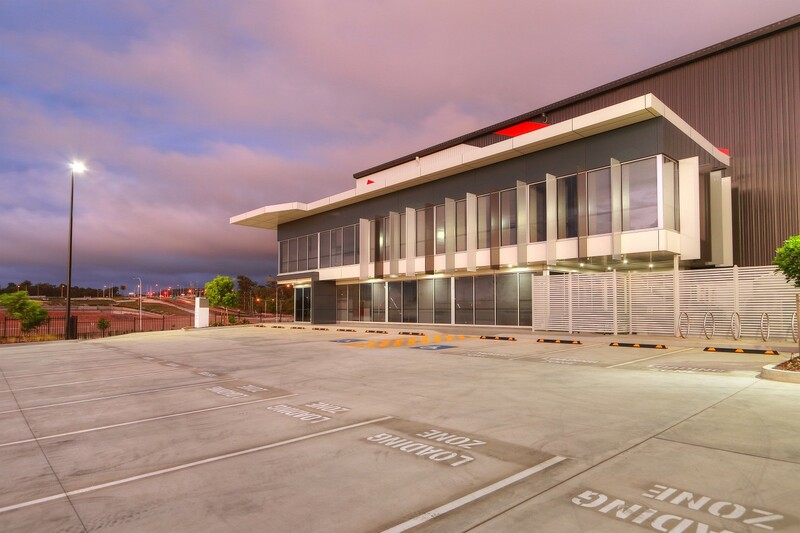 Originally based on a concept design, Spaceframe Buildings took the concept and fully design the project including structural, mechanical, hydraulics, fire services and all council approvals (other than the MCU) then constructed the facility from the ground up. 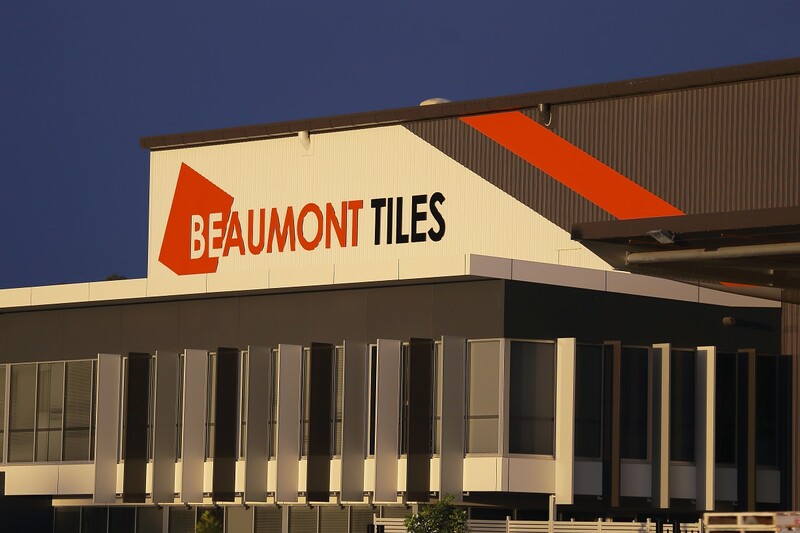 The Beaumont Tiles facility is the first building located in the Rochedale Motorway Estate. 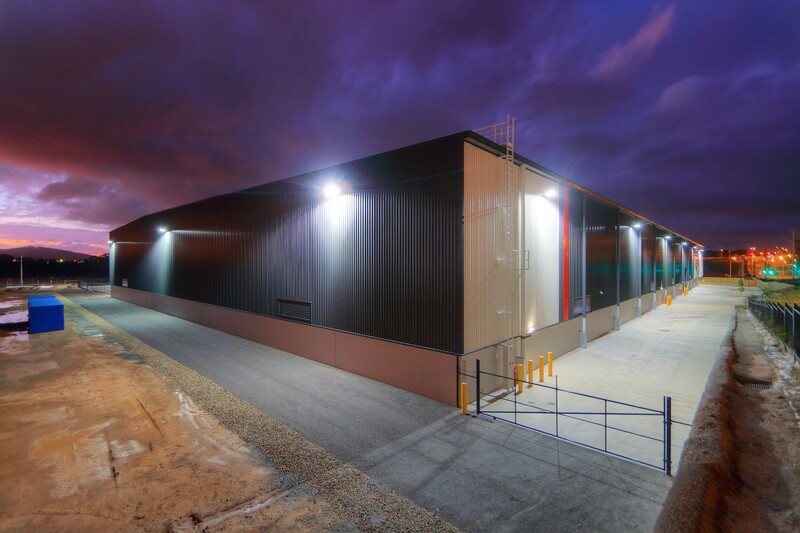 Spaceframe commenced and completed this project before the estate works were completed — without sewer, roads, power etc. 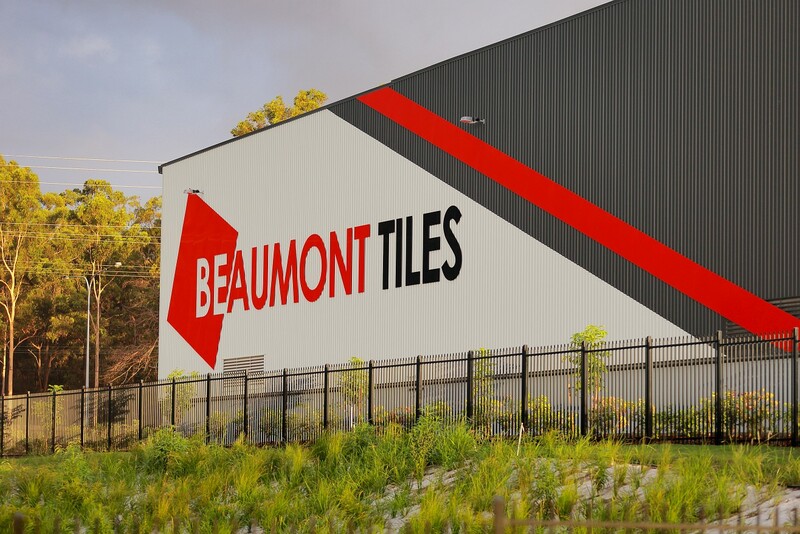 Beaumont Tiles is the 2nd design & construct project for Goodman Properties - continually building strong relationships.